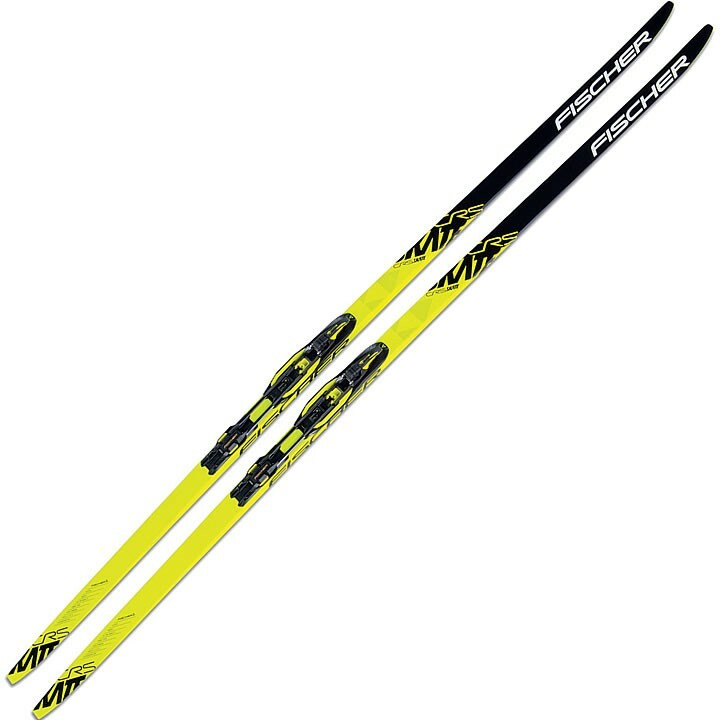 The Fischer CRS Skate Nordic Ski is for recreational skiers who want it all: high-quality equipment that works perfectly in all conditions and is also great fun on the track. The CRS Skate caters to all wishes with its new aerodynamic tip, low weight, and optimized swing weight. Skating 115: Special camber and snow contact points further apart from each other mean increased stability and a more powerful kick action on hard snow. Sidecut World Cup Skate: Arrow-shaped sidecut for improved performance and dynamics especially for the 1:1 skating technique. We need skate ski with out metal edges. We skijor with our dogs, what do you recommend for stiffness? Thank you for your inquiry. In order to recommend a stiffness for you we would need to know how much the skiers weigh. Once we have this information we can make a recommendation. Also please feel free to call the store and ask for our Nordic experts. They will be able to go over different flex options and answer any questions you may have. The number here is (802)-658-3313. Does this ski come with mounted binding as pictured? Thank you for your inquiry. The Fischer CRS Skate Nordic Skis do not include bindings. The ski would require a Turnamic race skate binding to be purchased as well. If you have questions about binding compatibility please feel free to call the store and ask for our Nordic experts. They will be able to answer any questions that you may have! The number here is (802)-658-3313.